Usually radio taxis are managed by a corporation which has 24/7 call center service and a GPS tracking system to track the cabs. When a customer calls the service and requests for a taxi, the call center operator will call the available taxi nearest to the customer’s location and send the taxi. 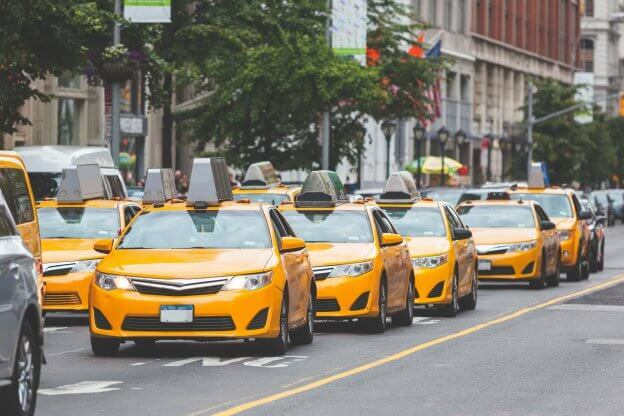 All taxis are connected to the GPS equipment and a centralized system that will inform which taxi is free and available to attend the customer. Charges are based on the distance of commuting and it works well in metropolitan cities. How is it different from other service? Radio taxi service is different from ridesharing services like Uber in terms of regulations and licenses given by the government. Drivers need to have transport badges/licenses issued by the transport department and a complete background verification process which is mandatory on the part of all chauffeurs. Compared to hailing/ridesharing mobile app services where there are not many regulations on safety features, there are pre-requisites for a radio taxi service. Though after the Delhi Uber incident, it has come to realization on the part of commuters that which is more safe, services such as Uber has promised the government to bring in more clarity in background verification system. When it comes to reliability and convenience, both the aggregator services and a regulated service appear to be the same but taking a keen look at it, the aggregator companies do not disclose more about the liability of the conduct of their drivers that they employ.